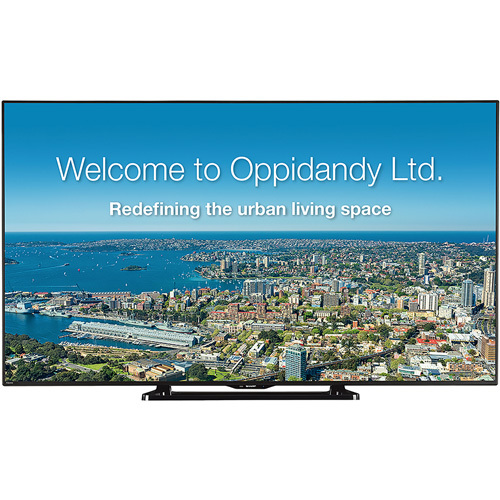 Sharp’s 70-inch-class (69 1/2-in diagonal) PN-LE701 commercial LCD TV combines full-HD image quality and a stylishly thin profile with a built-in digital tuner for the ultimate display experience. The PN-LE701 has cutting-edge picture technology that delivers amazing detail and consistent color. This value priced commercial LCD TV is perfect for sports bars, retail stores and other businesses that need to grab the attention of consumers for a new level of engagement.